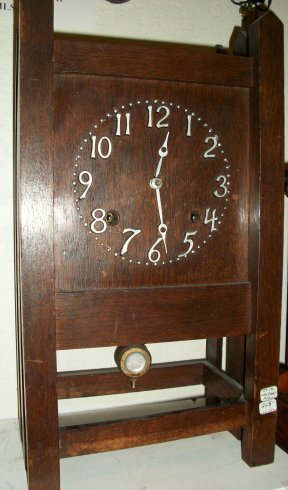 This style of clock is called a "Mission Style". 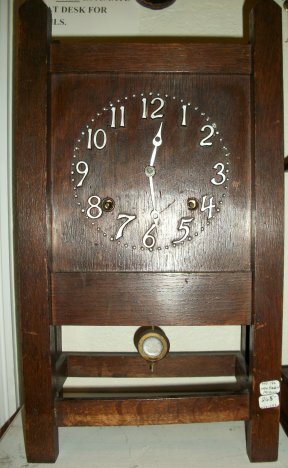 The clock manufacture mad an entire clock line in this style all the way from something like this to wall clocks and up to and including the grandfathers. 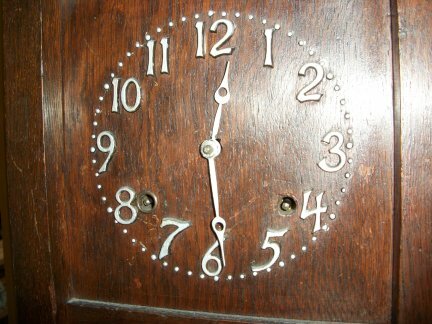 This is an 8 day time and strike on a gong. Others you may find are weight driven and can strike. 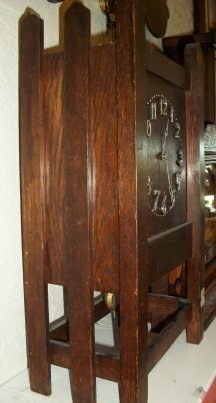 They uses Oak as the primary wood and were all usually of the same or similar look but different in style. Another look at the front.